Specialising in the cutting, dismantling, repositioning and removal of all kinds of heavy industrial metalwork and plant machinery across the UK. Based in Kent, just outside London, we specialise in the cutting, dismantling, repositioning and removal of all kinds of heavy industrial metalwork and plant machinery across the UK. 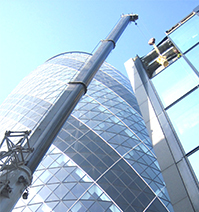 Whether it’s lifting the boiler through the roof of London’s ‘Gherkin’ and laying a new one in place, cutting and dismantling old train lines or relocating major pieces of plant machinery, we provide a comprehensive and bespoke fit service to business and industry across the UK. We provide an entirely bespoke service on the largest and most complex steel and dismantling services offering almost two decades of expertise working with some of the best known names and locations in the country. Our highly expert team work to the highest quality and safety standards, taking pride in exceeding expectations and finding solutions to even the most complicated projects. Coming highly recommended from numerous high profile clients and projects we guarantee a comprehensive, custom fit solution to all your plant and metal dismantling and repositioning requirements. You can find full details of our services on the dismantling and removal and bespoke service pages on this website. We also welcome enquiries at any time, experienced members of the team are always on hand to answer questions; contact us at All Clear Metals today to arrange a survey and quotation.